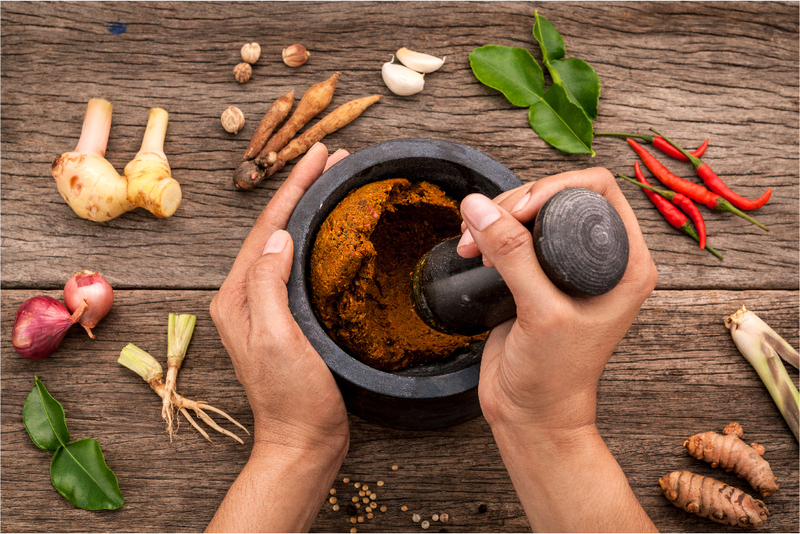 Discover the benefit of spiciness & the story of a family heirloom’s recipe that will spice up your life. The spicy sensation is often misunderstood as a taste. In point of fact, spiciness is a kind of pain and warmth (in some cases, burning) in your mouth triggered by spicy foods. People have different spicy food tolerance. Interestingly, this ability can be acquired over time, meaning everyone can become a person with higher spicy food-threshold through exposure or lots and lots of practice. Thai food is known for its distinctive spiciness but “chili” one of the important ingredients does not originate from Thailand. Chilies were first imported dating back in Ayutthaya period or around 400 years ago and have since become one of the staple ingredients of Thai cuisine. People who have a liking for spicy certainly agree that the spicier the better. Apart from the pleasure of spiciness intake, chili does come with a pack of health benefits. Thanks large in part to the substance called “capsaicin” in foods seasoned with chilies. Capsaicin has a stimulating effect on the mucus membranes of the nose and sinuses. It helps reduce the risk of cancer, thanks to its antioxidants. For those on diet, say hello to your helper as capsaicin helps speed up your metabolism as much as 50% for up to three hours after eating. Additionally, it is not surprising to feel refreshed after eating spicy food as capsaicin triggers the release of endorphins magic, otherwise known as happy chemicals or the body’s natural painkillers. From 100-year “Sirisomboon” crispy chili recipe passing down through generations, Julalak Ponpipom has recreated it with a unique take under the name “Drama Queen”. The name stems from a heartwarming story of her little daughter who always cries. The crocodile tears habit perfectly resonates the brand’s character, given that the sensational pleasure of eating crispy chilies can be painful yet unstoppable. 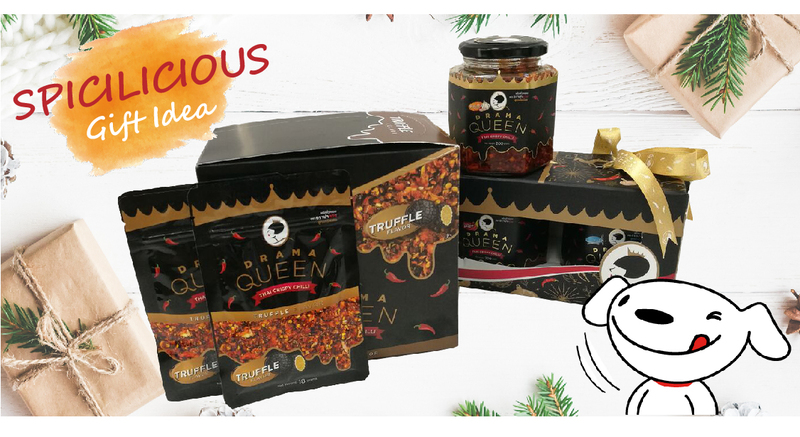 For those with less spiciness tolerance, don’t shy away as Drama Queen also offers the less challenging option - the mild flavor. If you are looking to spicing up your European dish with a new gastronomic experience, try White Truffle Oil flavor. For those on weight control, crispy chili in low-fat flavor is a mouthwatering option you can rely on. Adding a dramatic twist to your favorite dish with the queen of chili. 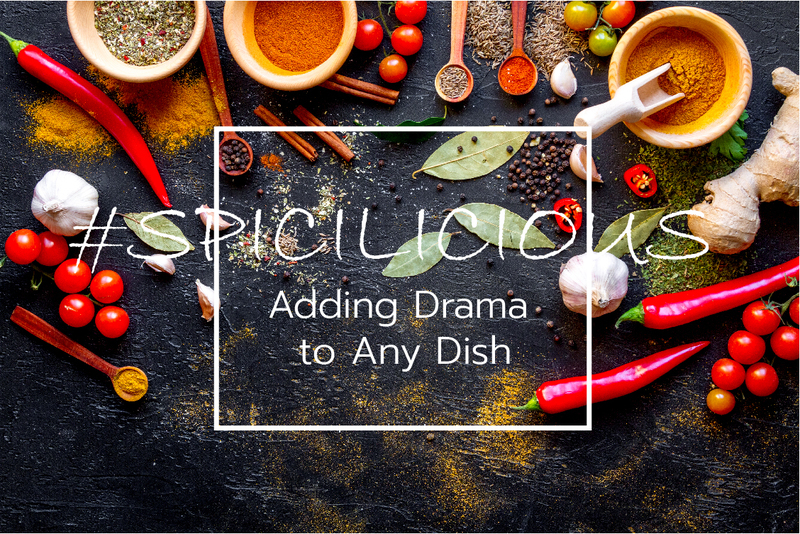 Though this simple recipe can be made in 15 minutes, if you really don’t have time to cook, Drama Queen also caters 10 special flavors par excellence to suit your palate. Exclusive flavors range from Crispy basil flavor presented by Asian Mint & Enjoy Mint restaurant, Stirred fried chili with southern style hot yellow curry from Klua King Pak Sod restaurant, Double Truffle flavor from Urbani Truffle Bar & Restaurant, Tomyum flavor and Curry powder flavor from Nara, Gochujang or red chili paste flavor from Sukishi, Mexican flavor from La Monita, Pizza flavor from Khun Thong 2020, Seafood sauce flavor from Savoey restaurant and Sesame flavor from Thai Marche restaurant.